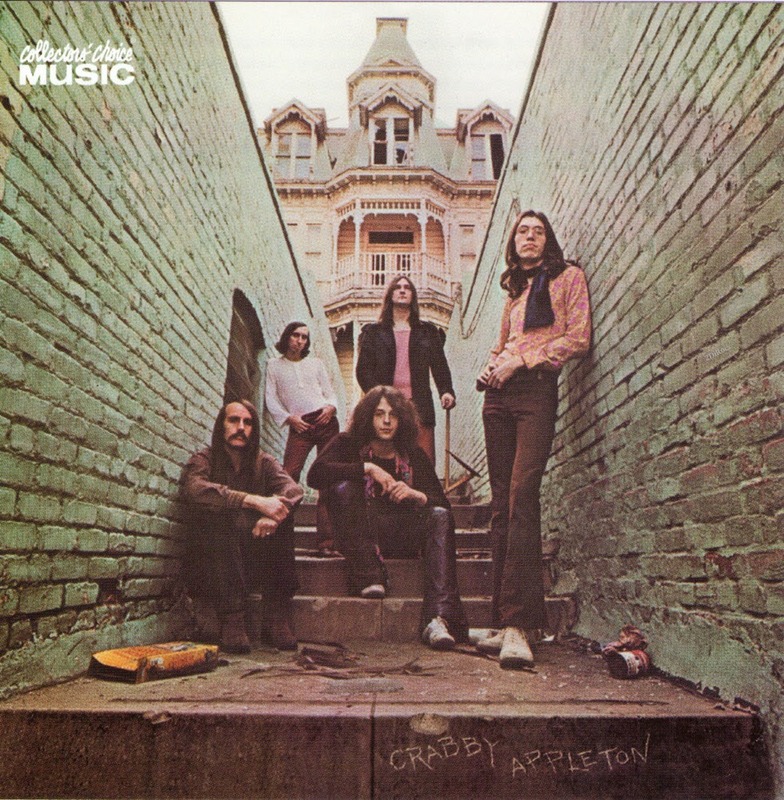 Crabby Appleton will always be most known for their infectious single "Go Back," a brooding slice of power pop that made the Top Forty in the summer of 1970. Less celebrated was their self-titled Elektra debut album, though it found a champion in critic Lester Bangs, who called it "as satisfying a definition of the mainstream rock band as we've had this year" in his Rolling Stone review. Its material boasted the same solid pop hooks and high, winsome vocals of singer-songwriter Michael Fennelly that had graced "Go Back." 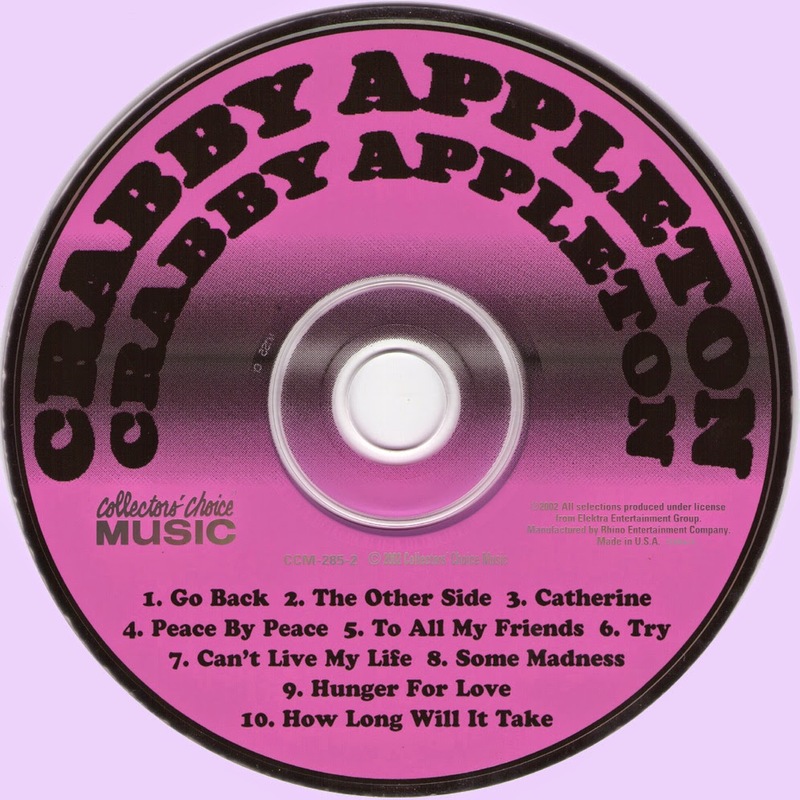 But there was more to Crabby Appleton than the average AM radio pop group, and the album was a fairly diverse mix of delicate romantic tunes and harder rock statements of tolerance and brotherhood. Touches of psychedelic jamming and classical grandeur could be heard as well, though Fennelly's pop-rock instincts were never far from the foreground. 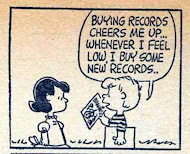 Fennelly had already gained some experience as a singer and songwriter as part of the Millennium, the Curt Boettcher-helmed sunshine pop project whose sole late-1960s album has since garnered enormous cult recognition, though it sold little at the time. After the Millennium ended, Fennelly was living off a stipend from his publishing company, and did a guitar-voice demo of about ten of his compositions. A copy of those fell into the hands of Elektra around the same time Michael met members of the band Stonehenge and heard them play at a Hollywood club. "At the same time I was meeting the band and talking to them about possibilities, Elektra, unbeknownst to us, was also listening to both our things and speculating about a merger of the two," he remembers. When Fennelly hooked up with some guys from Stonehenge (who had for a time included ex-Animal John Weider, who had left Stonehenge and returned to England to replace Ric Grech in Family), Crabby Appleton were born. Fennelly wrote all of the material for Crabby Appleton, though he's keen to emphasize that the band was very much a collaborative endeavor. Stonehenge had played a far harder and bluesier style of rock than the likes of Millennium, and the Crabby Appleton records would be far gutsier than what Fennelly had cut, on material by himself and others, with his former band. But the shift wasn't solely influenced by his new cohorts. "What material saw the light of day with the Millennium by necessity had to fit into that heavily produced light pop genre," Michael explains. "But I was evolving as a writer, and stretching out into other things that were appealing to me." And the compositions on Crabby Appleton "reflect more my overall musical tastes than what I did with the Millennium," incorporating influences by more forceful faves of Fennelly's such as Steve Stills and Neil Young. Most of the songs had been written before the band were formed, however, and "particularly for the first Crabby Appleton record, I was just writing for myself," Fennelly adds. "So maybe that's where all that pop seeped into that rock band." Nowhere were they more pop than on "Go Back." "We were insistent that was our hit single," says Fennelly. "It was lighter pop stuff. And Don Gallucci" -- the same fellow who produced the Stooges' Fun House around the same time -- "felt otherwise. We were absolutely very sure of ourselves that that was our shot at getting a Top Forty record." They were vindicated by the single's performance on the Billboard, where it reached #36. But the album as a whole was more sophisticated than what "Go Back" might have led some to expect. Though Fennelly, bassist Hank Harvey, and drummer Phil Jones all contributed to the energetic, tight ensemble arrangements, the classical-influenced organ of Casey Foutz was particularly sparkling. The timbales and conga of Felix "Flaco" Falcon gave the percussion uncommon depth for a straightahead rock band, at a time when the presence of more than one percussionist in the same group was just starting to become more common in rock, via bands like Santana and the Allman Brothers. On multi-sectioned cuts like "Try" and "Hunger for Love," the band showcased their adroit interplay on semi-improvised-sounding passages that never got so lengthy and grandstanding that they crossed the line into indulgence. "We did a lot of three-to-four-minute songs with somewhat restrictive arrangements," Michael notes. "We knew that our greatest musical strengths were the accomplished keyboard work of Casey, and also the percussion of Felix. We wanted to have some songs that would be a platform for Casey or Flaco to stretch out and be able to just play, as opposed to have to stick to their parts. They had to make an adjustment as far as working with a singer-songwriter, because they hadn't done that before." Yet it was the more concise and poppy tunes that stood out, Fennelly's relentlessly upbeat, romantic outlook shining like a beacon on both ballads and harder-charging rockers. "The Other Side" recalled the baroque-pop of late-1960s Zombies or the Left Banke in its delicacy, influenced by both the classical guitar lessons Fennelly had as a child, and a tapestry of a schooner in a stormy sea that provided some of the visual inspiration for the lyrics. "Catherine," "Some Madness," and "How Long Will It Take" were indicative of some folk-rock leanings, the latter two sounding not unlike some of the Youngbloods' sparser work. Fennelly usually wrote about love, but on a couple of songs he extended his scope to project love toward his community rather than just one woman in particular. The dynamic "Peace By Peace," Michael elaborates, "was about going toe-to-toe with the police, which was a political sport back then. It was urging moderation in sacrificing your life for political causes of the day. Don't get so fired up that you end up being carried away on a stretcher; it may not be the most effective way to achieve change." By contrast "To All My Friends," decorated by a lilting harpsichord, was (unlike most of the album's songs) written after Crabby Appleton had formed: "That was to the band, about what great support and sustenance we gave each other. When you're in a rock and roll band and you're young, oftentimes that is your immediate family. It was celebrating that family." It was a vibe Lester Bangs picked up on in his Rolling Stone review, enthusing that the LP was "nearly faultless and communicates the vitality of American youth and American music." Despite that and other good reviews, "our commercial success was really sporadic and schizophrenic," admits Fennelly. "We'd drive into one town where we had the #2 record on two or three radio stations. Then we'd go 60 miles in one direction to a place where they'd never heard of us. We were either playing at an arena that had 20,000 people and all knew 'Go Back,' or we'd be playing at a place called Mr. JD's on the side of the highway with five drunken, impatient people trying to figure out who the hell we were and what was coming next." There was enough of a buzz, though, to merit a second album on Elektra with greater blues, country, and hard rock influences, Rotten to the Core, also reissued by Collectors' Choice Music, where this story continues.